This poster is one of a set called "America: A Nation of Immigrants." 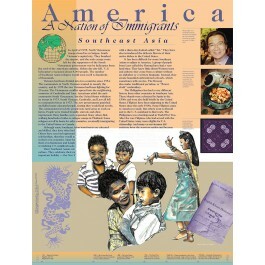 This poster focuses on immigrants from Southeast Asia, countries including Vietnam, Laos and Cambodia, and the Philippines. 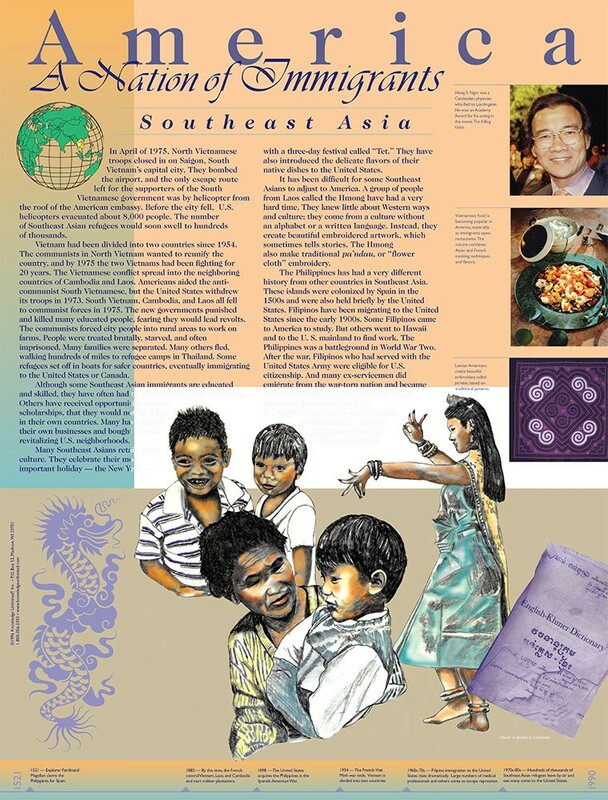 Using artwork, photos and text, the poster provides background information on this immigrant group, and important contributions to American society from this group.